Peppery aromas coupled with luscious, sweet berry and toasty vanilla notes. 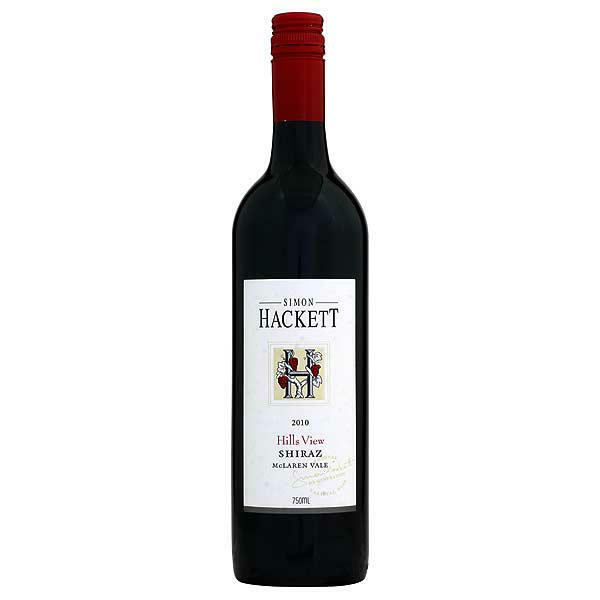 Soft tannins are balanced by plum and cherry flavours, and herbaceous eucalyptus notes. Robust yet elegant. Simon Hackett,McLaren Vale, Australia Simon Hackett was born and raised in the Barossa Valley where his family have been connected with the wine trade for many generations spending his boyhood in the Barossa Valley alongside his father, who was General Manager and a Director of the giant Barossa Valley Distillery, Tarac International. Given this environment, it was not surprising that Simon, at the age of eighteen, elected to follow a career in winemaking and joined the team at the neighbouring Saltram Winery under the watchful eye of master winemaker and world-famous, Peter Lehmann. In 1984, Simon decided to leave Southern Vales Winery and concentrate fully on establishing his own winery situated in McLaren Vale. A boutique wine maker in every sense of the word, his dream was not to create an ‘empire’ but to remain small, producing limited stocks of wine each year for semi-private use. Luckily he decided to launch the company as a full time project after only a few years. Simon’s winery is situated at the entrance to the McLaren Vale and it is here that he hand-crafts his wines in small open top fermenters, gently nurturing them in a combination of French and American oak barriques. Yields are often very small and his entire annual production rarely exceeds ten thousand cases.